Your privacy is important to us. We provide this notice to explain our online information practices and the choices you can make about the way your information is collected and used. This notice applies to all information collected or submitted on the Amanda Darosett Photography website. The only personal information we collect is name, street and email address, and telephone number. 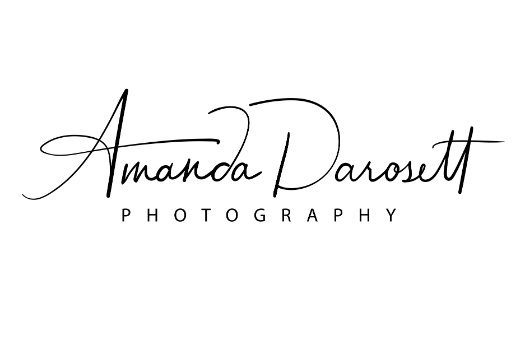 We use the personal information collected from you to facilitate taking your photographs, communicating with your regarding your photographs and other related products and services, and processing any transaction you may do with Amanda Darosett Photography. Such personal information as we collect is not used for any other purpose and is not shared. Protecting the privacy of the very young is particularly important to Amanda Darosett Photography. For that reason, we never collect or maintain information at our website from those we actually know are under the age of 13, and no part of our website is structured to attract anyone under 13 to provide information to us. You can correct factual errors in your personally identifiable information by sending us a request detailing the error(s). To protect your privacy and security, we will also take reasonable steps to verify your identity before granting access or making corrections. In the unlikely event any of the personal information you supply us online is misused, you may redress these issues by contacting us directly at Amanda@amandadarosett.com.